Dr. Cuoco completed his undergraduate bachelors and masters degrees in Biomedical Engineering from Boston University and Case Western Reserve University, respectively. He then received his combined MD/MBA degree from Georgetown University. He completed his medicine residency and cardiology fellowship in Washington, DC at Georgetown University Hospital / Washington Hospital Center. Finally, he moved to Charleston,SC where he completed his training in the top-ranked Cardiac Electrophysiology program at the Medical University of South Carolina. Dr. Cuoco specializes in the treatment of abnormal heart rhythms (cardiac arrhythmias), including catheter ablation of atrial fibrillation and ventricular arrhythmias. He also implants permanent pacemakers and implantable cardioverter-defibrillators (ICDs), as well as cardiac resynchronization devices (CRT) for the treatment of heart failure. He is actively involved in numerous clinical research trials and serves as a national and international speaker at academic and educational conferences in the field of Cardiac Electrophysiology.  Dr. Cuoco provides both consultative services and device follow-up in Conway at the CPG Waccamaw Cardiology office. He also performs implantation procedures, including pacmakers, ICDs and CRT devices at Conway Medical Center.